Ahhh, retirement is here at last (or at least on the horizon) and you can finally start living your dream life at the beach. 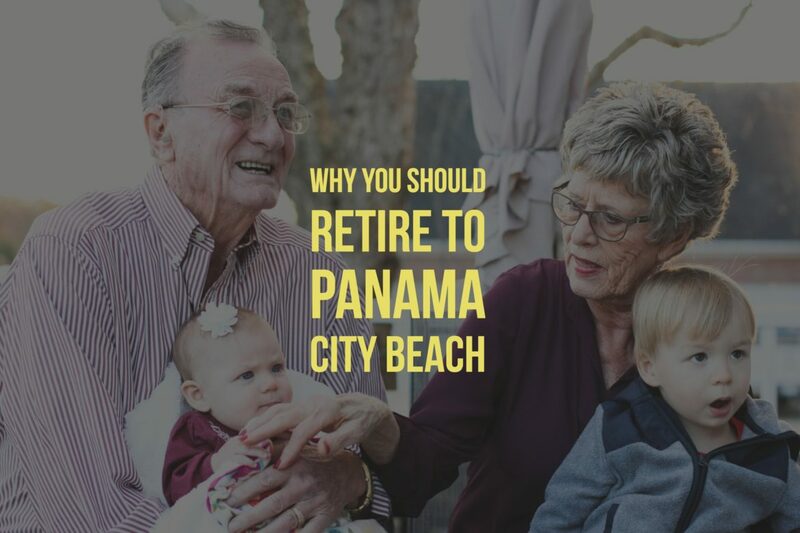 There are numerous reasons why buying a condo at Panama City Beach should be a major contender in your retirement plans. Here is a list of what we at Life’s a Beach Real Estate think are the major ways in which Panama City Beach is an attractive retirement spot. Feel free to reach out us for additional information about this great city and all that it has to offer! Smart Investment. It’s always a good idea to choose an opportunity where your financial investment has a high probability of growing. You never know what might come up in life and there’s just no reason to look away from an opportunity to invest in real estate that has chances of bringing you a positive return. Zillow, Realtor.com and Trulia all report growth in the Panama City real estate market with Trulia showing median home prices with an increase of 7% in the last twelve months and the average price per square foot rising from $139 to $153. Similarly, Zillow reports a 6.4% growth in median home values in 2017 and predicts an additional 3.9% value growth in 2018. We don’t need to explain to you the value such trends could bring homeowners if they continue long term. We think it would be pretty sweet to be making money off your beach house in retirement just by sitting at the beach – don’t you agree? Active Senior / Retirement community. Almost half of Panama City Beach’s population is made up of people over the age of 45 (https://www.floridaforboomers.com/retirement-spotlight-panama-city-beach/). This statistic is important because it shows the value that seniors have to the community and economy in this city. As a result there are countless clubs, communities, activities and resources dedicated to senior wants and needs. Not to mention the numerous golf courses and golf clubs in the area . . that is, if the idea of golfing during your retirement is appealing to you! Beaches. This goes without saying but there’s no reason not to throw it in here as well since it’s our favorite part of this area. Did you know Panama City Beach boasts 27 miles of beautiful beaches? Depending on what other beaches you have visited in the world, your appreciation for Panama City Beach’s sugary soft white sand will be substantial. It is one of the most beautiful beaches in the world in part due to the luxurious softness your feet are treated to simply by taking a daily walk by the water. Not. Too. Shabby. Restaurants and Shopping. For those of us not as into playing 18 holes five times a week (that’s a total of 90 holes, FYI), Panama City Beach is also known for its countless restaurants and shopping. Restaurants range from beachside dives to anniversary worthy five star restaurants, bring on the culinary romance! Shopping has an equivalent spread of options with the most popular spot probably being Pier Park, an open air mall with almost a MILLION square feet of stores that is located across the street from the beach. Retirement is looking better and better! If this sounds like a great way to dive into retirement, Life’s a Beach Real Estate can help you locate the perfect house or condo in Panama City Beach to call your new home. We are on standby, waiting to show you what this city has to offer!